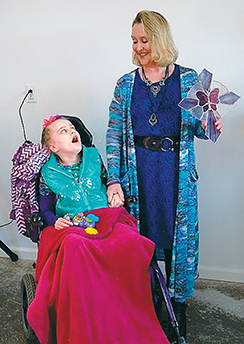 OTTAWA – “Welcome home” were the words that were repeated several times to Becky Gable-Giblin and her daughter Mariah during the dedication at their new home this past weekend. Putnam County Habitat for Humanity hosted the dedication of their tenth house on Sunday. The house is located at 1366 North Defiance Street in Ottawa. Giblin and her daughter are the partner family members who will live in the house.